In 2018, all of Georgia’s elected government positions, all eight statewide offices and all 236 members of the General Assembly, are up for election. Metro Atlanta is bigger than many realize. 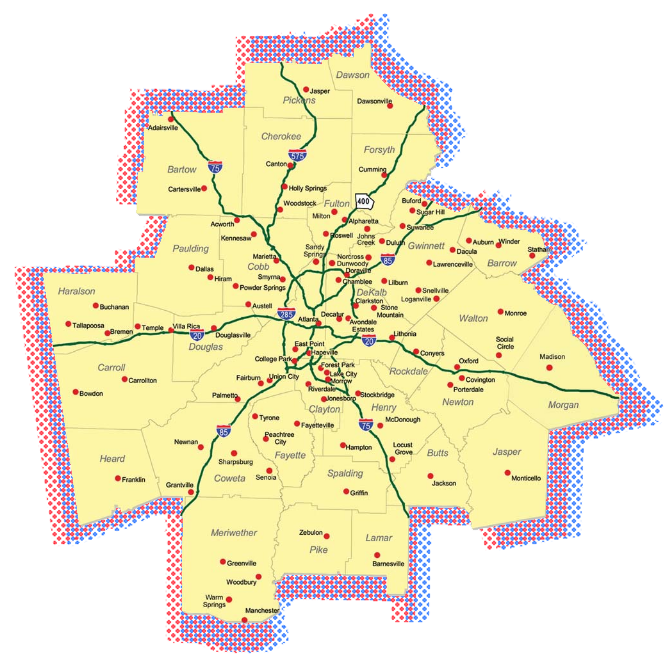 The Metro Atlanta Chamber represents the statistical area of 29 counties for the Atlanta-Sandy Springs-Roswell MSA. Need to know your district? Click here and enter your address. Once you know your district – find who’s running to get informed. To request an absentee ballot, download an absentee application and send it to your county registrar. More information can be found on your Secretary of State My Voter Page.